Fan was expected to do good business at the box office. What do you think went wrong? How much did SRK’s fan movie make at the box office? Did it reach the 100 crore club? See it here. Fan movie had a good start in week 1. But at the time, mixed reviews and audience reviews spread, the film’s earning reports begun to show sudden fall. After mixed reviews and negative talks, many people didn’t even turn up to watch FAN. The occupancy report too showed a drastic fall and which led to a poor performance at the box office. Maneesh Sharma script was good, but the film lagged something which the audience were desperately looking. Shah Rukh Khan has got a lot of appraisal for his performance. 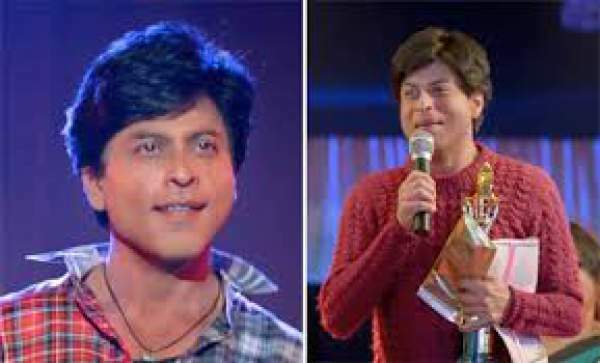 SRK even had to undergo 3-hour makeup session every time, when he is up to playing the fan Gaurav’s role. That’s how the actors work hard, but those didn’t help the audience turn up to theaters to watch the flick. Down the road, the fan turns out to be the film which is trying desperately to reach the 100 crore club. Fan might choke and might not make it as far as the reports are concerned. Here we go, Fan movie 21 days complete box office reports is here. Fan did a little business of 1.15 Crore in week 3. The total domestic collections of Fan ended at 84.10 Crores. So what do you think? Will fan join the 100 crore club? Share your views and stay tuned for more latest box office updates. send srk overseas…yahan zaroorat nahin hai,..
srk is the best in the warld………. then send srk overseas… his days over in India..
Srk’s days will never get over ….not in India $ nor at overseas..
Srk is ruling the Bollywood from last 23 years…..
bhut badhiya bisseness best movie best story best visiter ……………………. Srk will be the Best Actor flimfare award for FAN. Nice movie yar.don’t be so negetive. 100 cr ki film hai fan but 4th weekend tak sirf 84 cr……not expected from srk……already declared flop but acting is good…..India ki film hai overseas me collection karke kya karega….count to domestic collection hi hota hai…..
Bakwaas picture full headache after the show, no comedy no song and no plot, full depressing movie. SRK days are so over. Srk worked hard for the film. He is a great actor…. Air haar kar jeetne valeko baazigar kehtehein…..
U r the best actor in the world..
Dilwale, Happy New year, Ra.One, Don2, JTHJ, Fan all flop movies from his past 5 year. F**king guy should die as his movies are worthless….